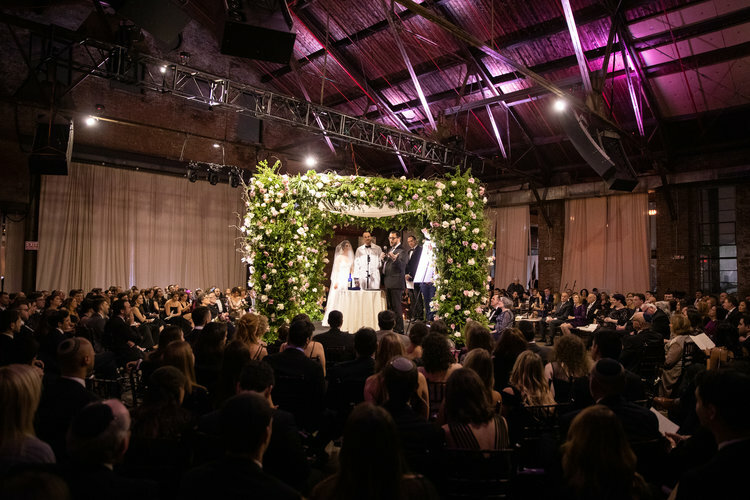 Home > Blog > Wedding Spotlight: Traditional Jewish Wedding With Vision Event Co. In our wedding spotlight this week, we are featuring a traditional Jewish wedding planned by Vision Event Co. Vision is an NYC based Event Planning, Media & DJ Entertainment company dedicated to elevating your event experience. 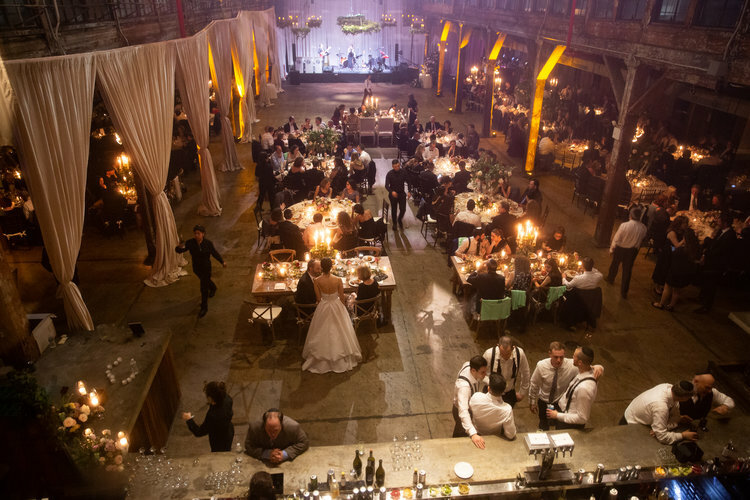 We manage details, coordinate logistics, provide quality resources, and produce events you will want to relive over and over again. From coordinators to entertainers, our team is grounded in the business of creating memorable experiences. 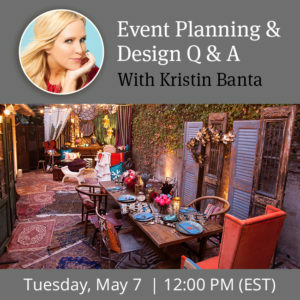 Our certified Event Planners collaborate with each client to achieve the event goals they envision. 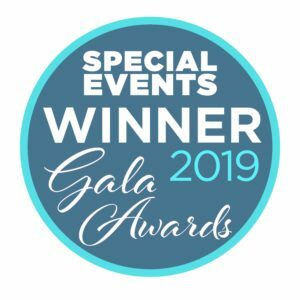 From there, our diverse team of industry experts, award-winning entertainment talent, and production gurus work seamlessly together to execute each event. 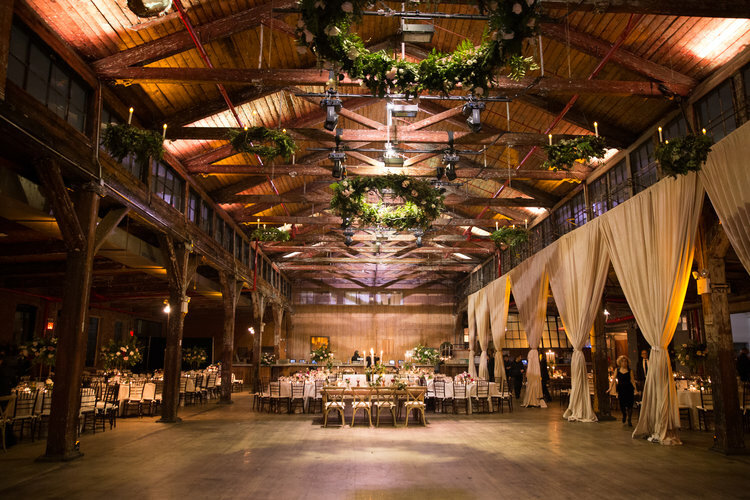 The wedding took place in December at Knockdown Center located in New York. This was a traditional Jewish wedding so the schedule of events featured the cocktail hour first, followed by the ceremony. We had the most epic ceremony in the round and then the reception afterward. 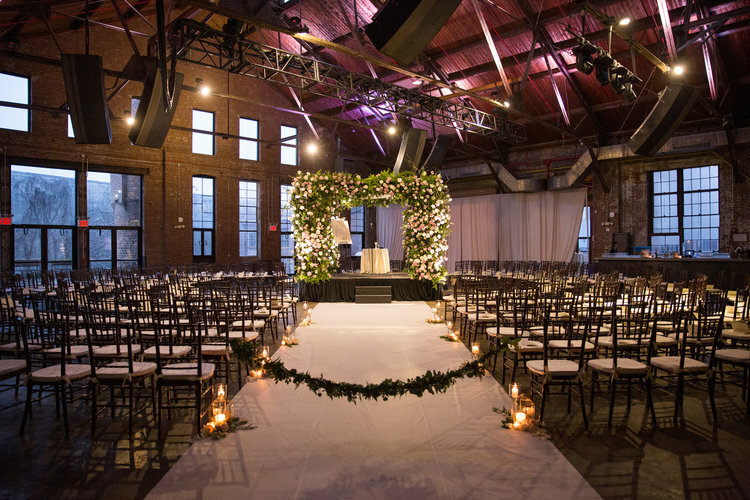 The event space was great for this type of wedding set up because we had multiple spaces to work with, however, it also came with its own set of challenges. We needed to figure out how to make each of the spaces work cohesively. 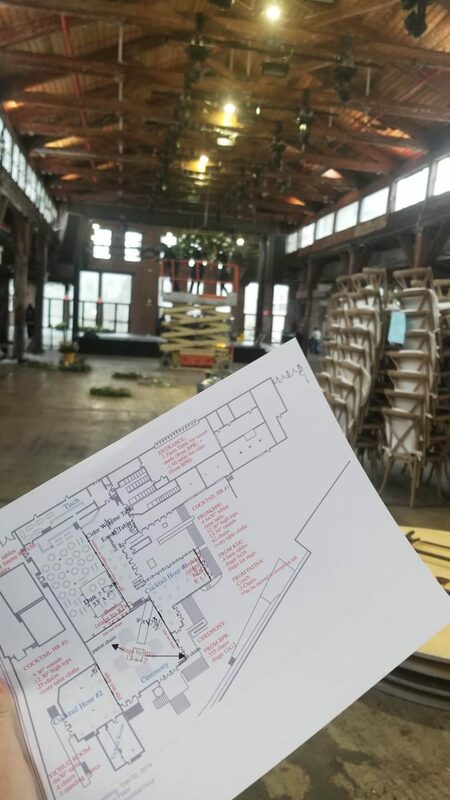 AllSeated played a major role in our planning process as the floorplan tools helped us to measure out the spaces accurately to ensure the layout would fit to-scale on the day of the wedding. 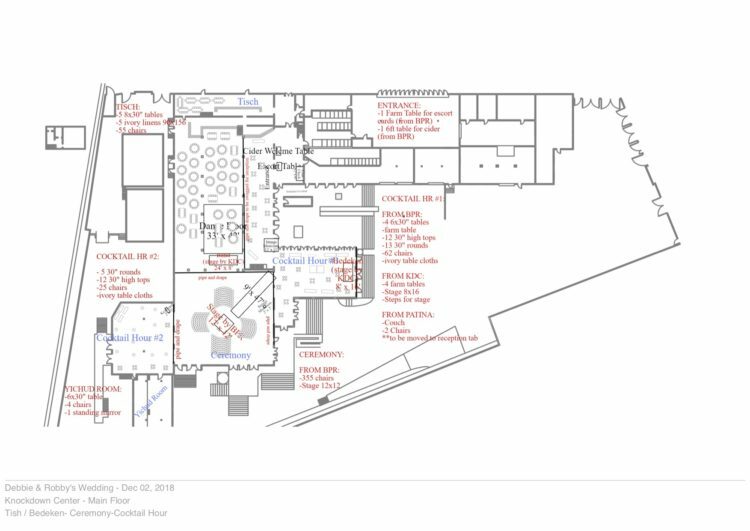 We also needed as much visual assistance as possible to explain the different flor of events to all vendors and parties involved. 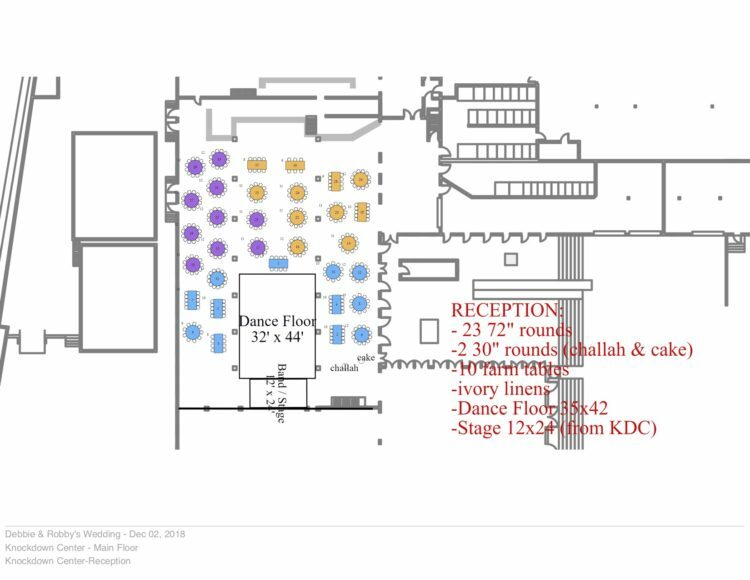 Using AllSeated, we were able to detail the floorplan specifically, not only with tables and furniture but the dance floor, entrances and exits, as well as every other important detail we wanted to share with our vendor team. 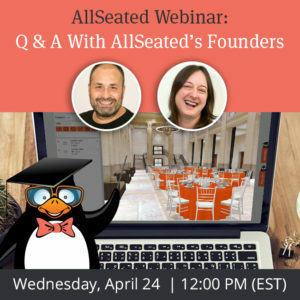 Event Coordination Webinar: Why It’s A Necessity Across All Event Markets with Daniela Grafman of Vision Event Co.